This will build up to document our little trip to various places in Kenya in 2016. Note that the sections are in reverse chronological order. Consider this the "master blog". There are short summaries on Facebook and one-liners on twitter. Come here for the full story. I got a chance to revisit Naivasha before going to the airport today. We decided this last week. 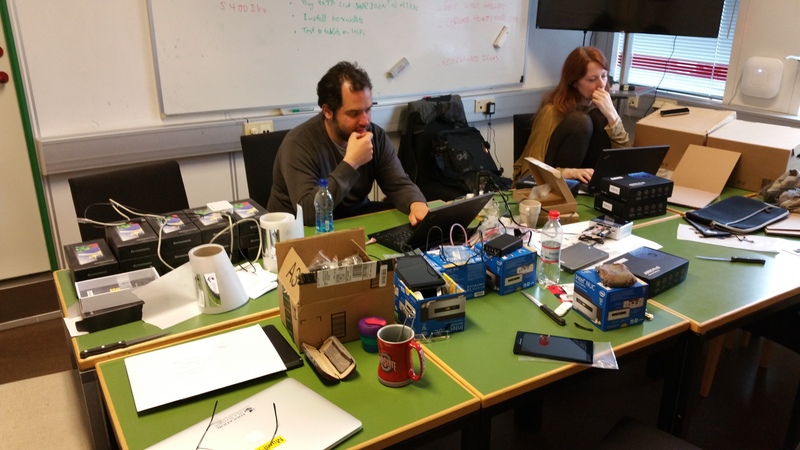 The purpose was basically to see how things were, a week after the delivery of the tablets and server. The first I heard was that they had already used the system once without us, and not run into any problems. This is really good news as we had no idea how the whole system would work in the hands of people who had not run a complete system of computers before. If I had one then my hat would be off to these folks. When I arrived the class was assembled and I got to look over everyone's shoulder. As expected, some were breezing through the material, a few were still figuring out how to work the tablets but by far most were using this in the perfect manner, practicing and moving forward. Let me just say once more that everyone is doing a great job. All participants understand the importance of a good knowledge of basics before moving on. Several students are acing these first few tutorials. The instructors are now thinking about how best to integrate the drills with the curriculum. One idea is to have Saturday sessions where the emphasis is on drilling your way through the basics. Of course those who are farther along then simply move faster through the drills. Our regular high schools could learn from these folks! We have seen a lot of ingenuity in the face of difficult circumstances. 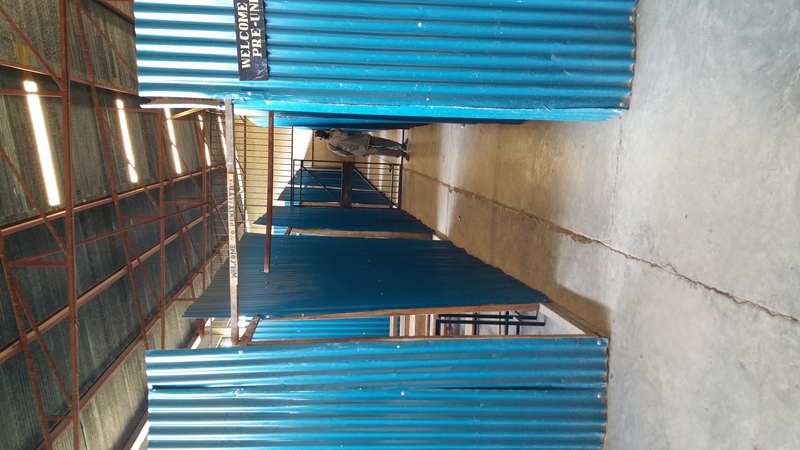 Here is one such: The Secondary School in the Naivasha Maximum Security Prison is built inside a building using corrugated iron! The first time we came there were students in every room and the noise was considerable. 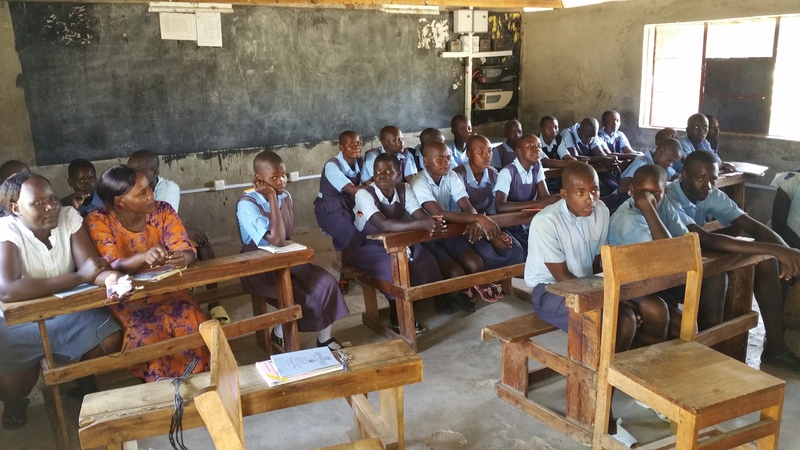 Nonetheless there were classes underway everywhere and students were learning in every room. Saturday, last official day of the trip: Presentation and discussion at LakeHub about the tutor-web, Smileycoin and the Education in a Suitcase project - all in the context of Kenya. The presentation is available here. 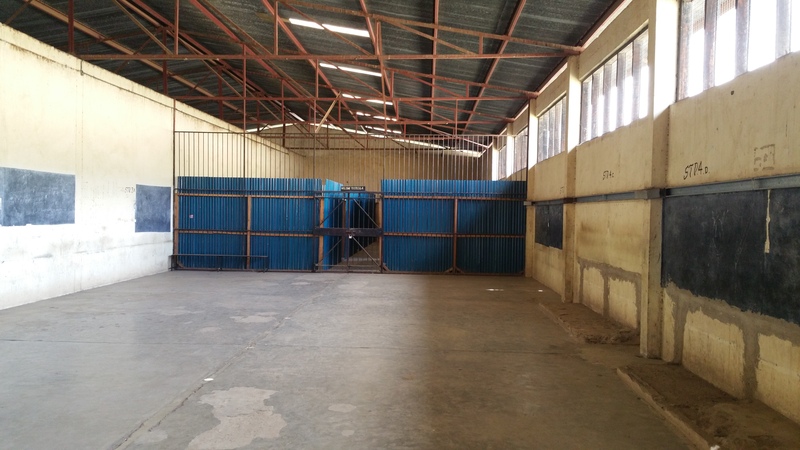 As is says on their website, LakeHub is "is a technology innovation hub in Kisumu, open space for entrepreneurs, technologists, investors and makers". This was very, very interesting. I got to meet lots of smart people, programmers/entrepreneurs. We had a great discussion -- probably the best discussion we've had on this topic! Getting to Takawiri is not quite trivial. 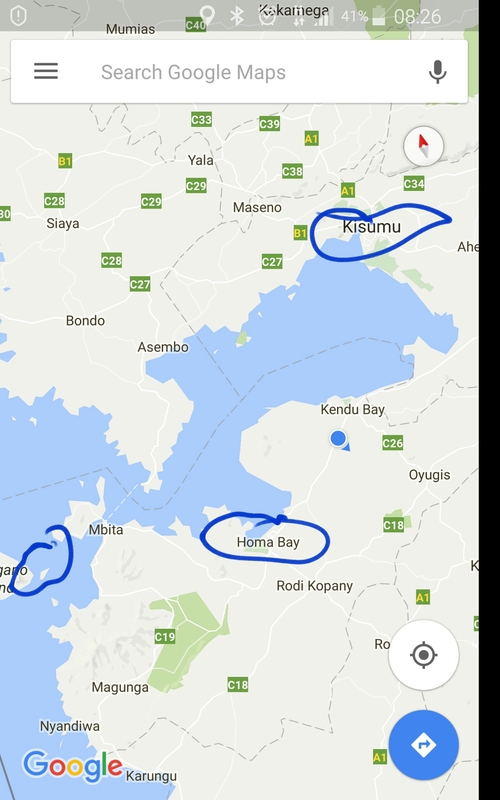 Starting from Kisumu (3rd largest city in Kenya), you first drive past Homa Bay to Mbita and then take a ferry across to Takawiri. There are two ferries, one takes cars but only goes to the neighbouring island. The other ferry is smaller and goes directly to Takawiri. We chose the smaller ferry. We arrived at the dock. 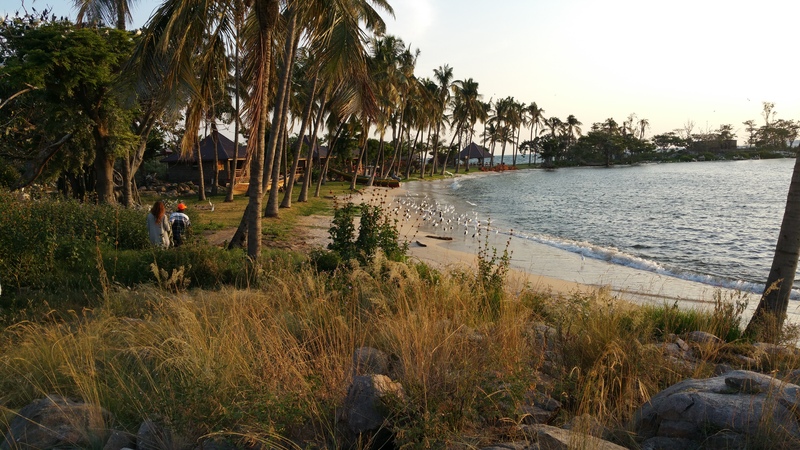 This does not quite look like paradise so let's look a bit behind the scenes as we move to different places on the island. 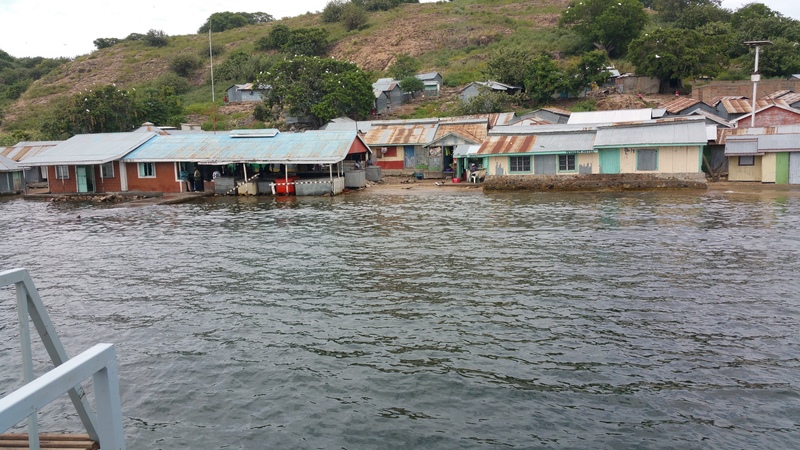 Homes on this beautiful island have no electricity. 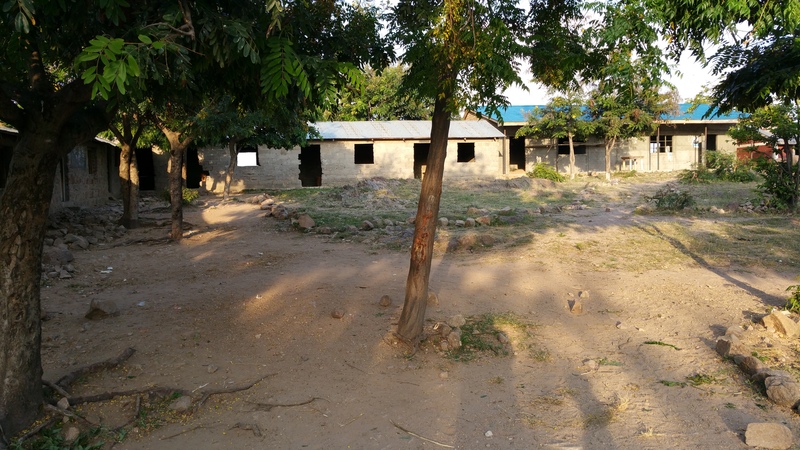 No student of the school has electricity at home. There is no tradition of higher education. A total of exactly one person has ever gone to university from the island. Families here want the same opportunities for their children as do the rest of us. Look carefully at the picture: This is the main road from the landing place, past the school and to the resort on the other side. 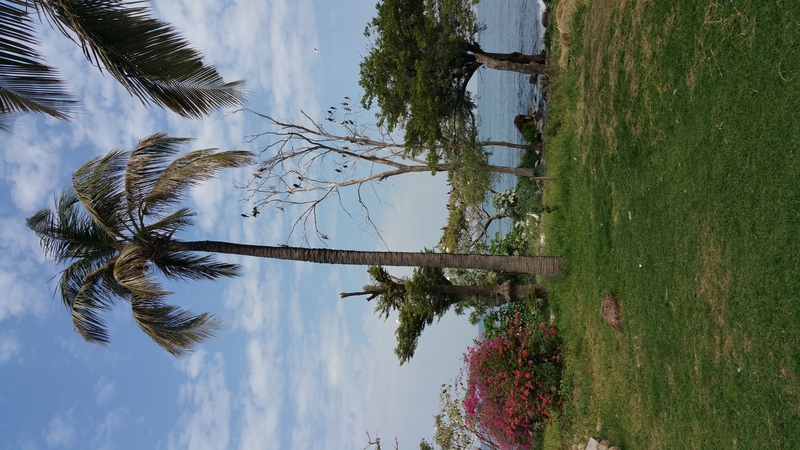 Our place of stay was at the end of the island and this really looks like paradise. 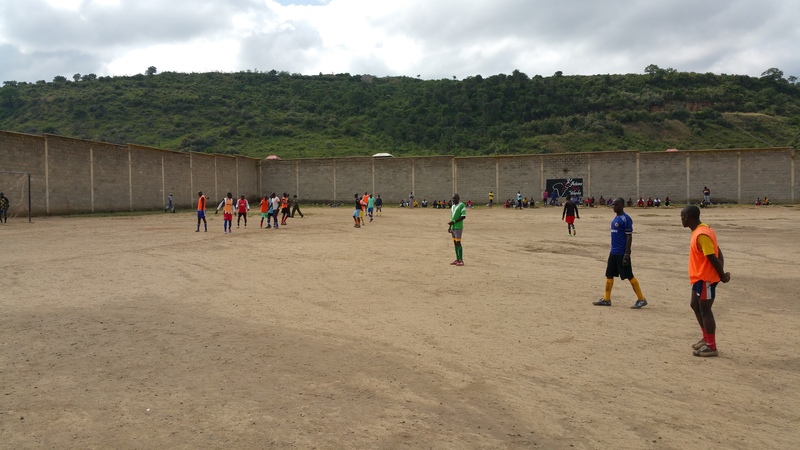 When we come to the school ground we see a typical school in rural Kenya. 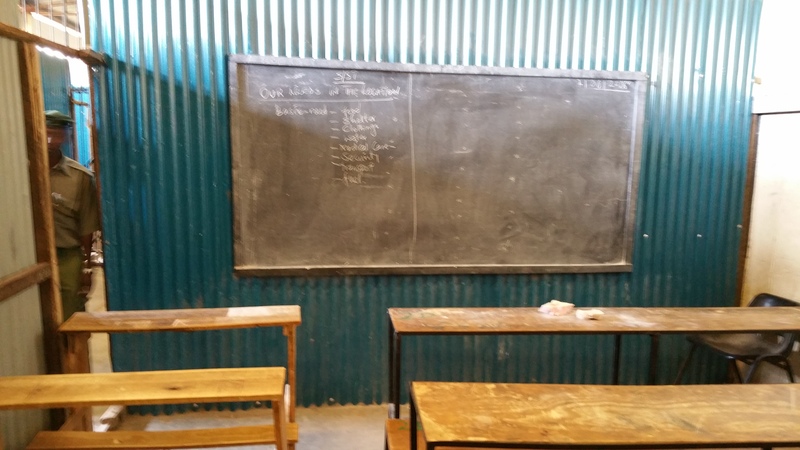 Apart from blackboards and chalk, there is no equipment. Yes, this is pretty much the entire room. 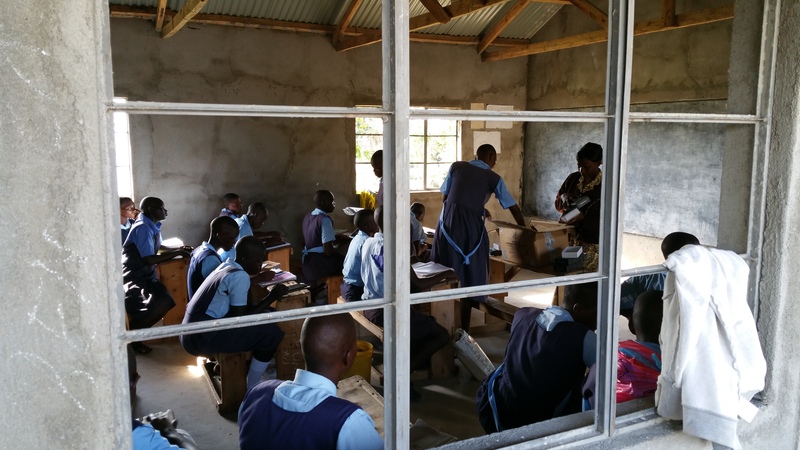 As in Naivasha we installed a tutor-web server and delivered some (31) student tablets. The Grade 8 students (who will move on the Secondary School within a year) each got one tablet, with their name in gold letters. We got a nice picture of the students, outside the school. Note the solar panels on the roof of the school. These panels, with their unstable electricity, make this project possible. 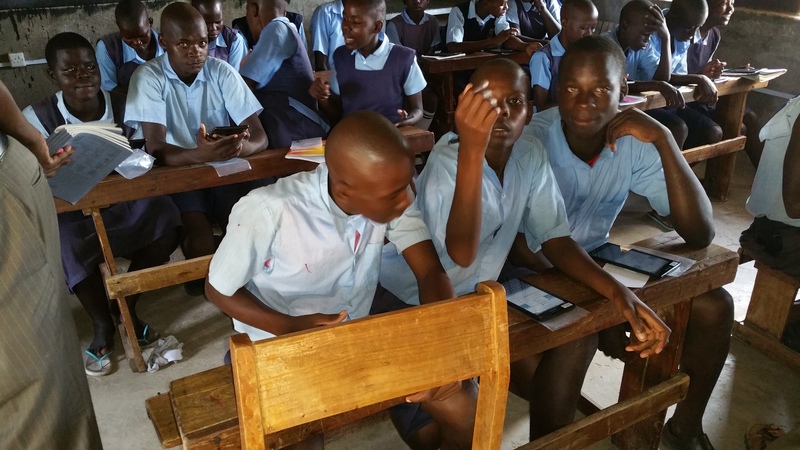 Not one of the students had ever held a tablet computer before. None of them have electricity in their homes. Within an hour all the students were able to log onto the tutor-web and do math drills. Of course there were lots of questions and much of the first session was spent on logging in over and over again, when applications disappeared mysteriously. We had a session with the teachers before seeing the students. This was particularly useful since the instructors were very helpful in assisting the students with their initial troubles. Soon thereafter many of them had found and viewed some of the Khan Academy math videos and looked up information on Wikipedia. All of this is on the server - there is no Internet connection. That evening at Takawiri Island Primary School: We started the session just before dark. 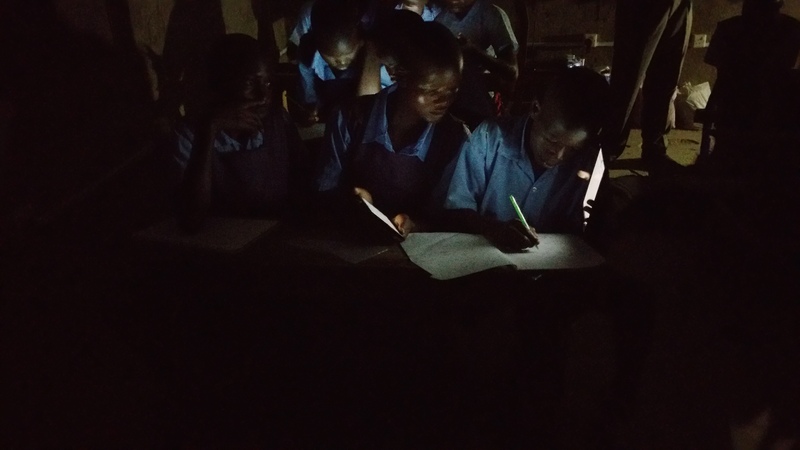 The students had just started doing math on their tablets when the electricity decided to go out. Without a hitch they just continued working in the dark, reading and answering problems on the tablets -- or using the tablets as a flashlight :-) Mindboggling! The third session at Takawiri was on the following morning. This time the instructor in charge locally handed out the tablets and started everything up with us standing outside the classroom. 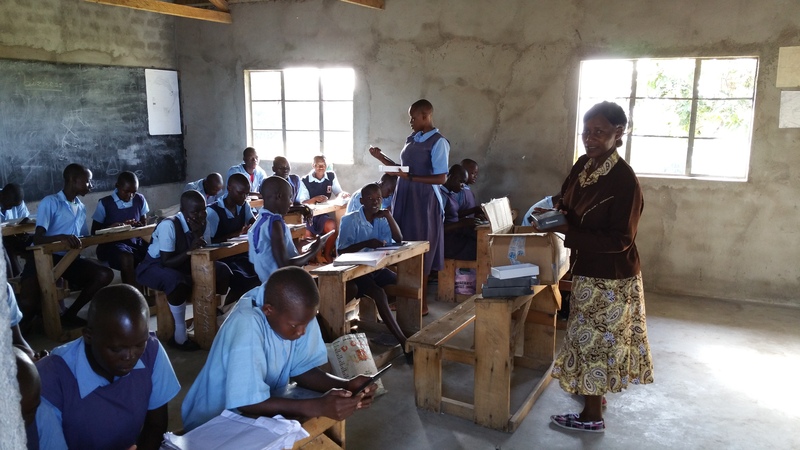 Benta was in charge of this class so she handed out the tablets and the pupils were given an assignment. The tablets are such a novelty that it is quite difficult to focus on a topic. These children have never had access to information such as Wikipedia before, not to mention the lure of a computer game or two. One of the most useful aspects of working with the tablets in a classroom is cooperation. After flying into Kisumu we came to Maseno University to meet with several people. 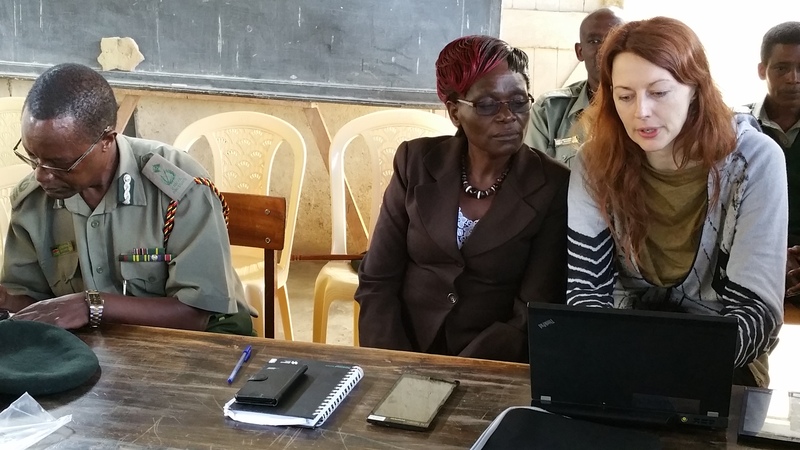 Here we set up and tested a tutor-web server for Maseno University and a server to be delivered by their group to a high school, most likely Banjika Secondary School in Tanzania, where a collaboration already exists. 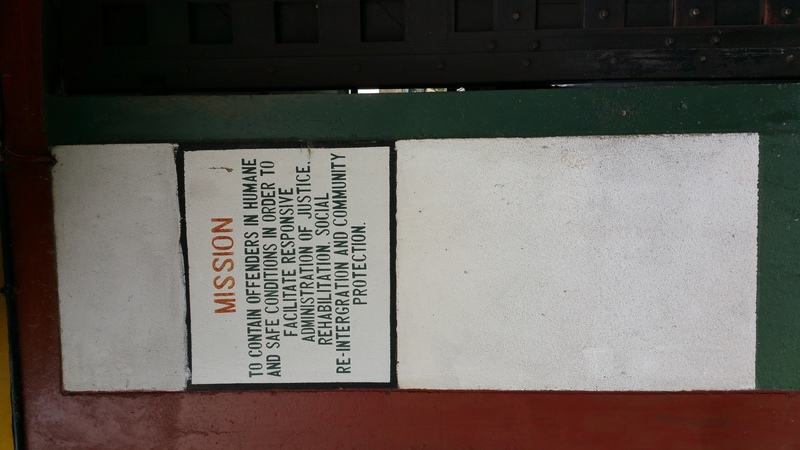 We spent Monday-Tuesday in Naivasha Maximum Security Prison. 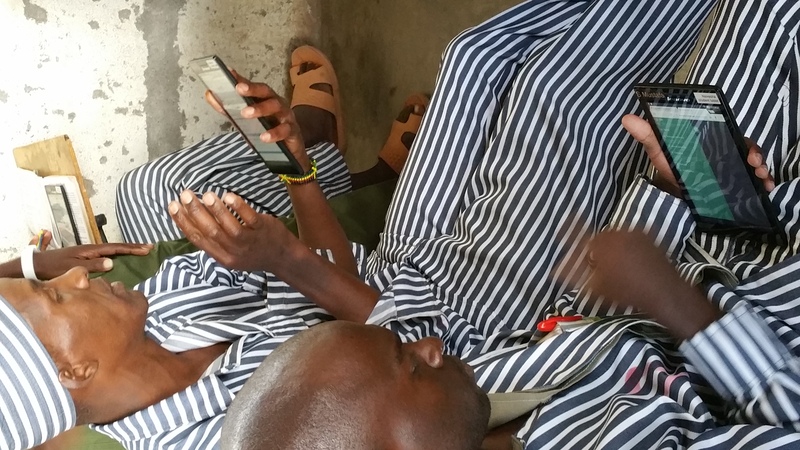 Our impression of the Naivasha Maximum Security Prison was very, very positive. 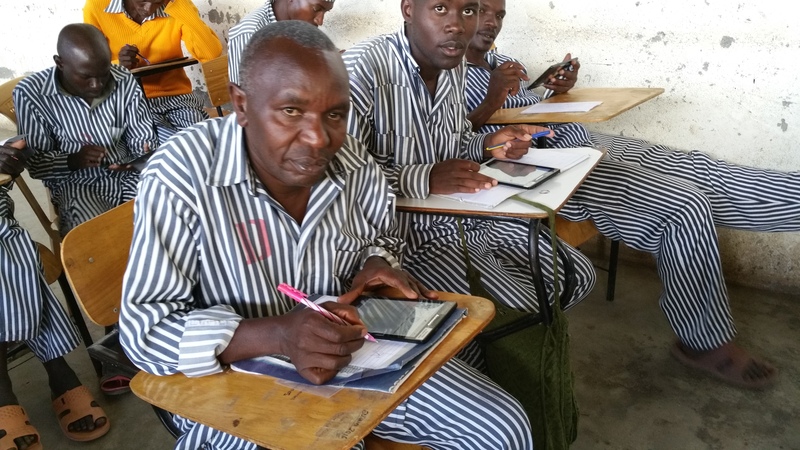 2 days in Naivasha Maximum Security Prison, Kenya: Met 28 very capable students and very many enthusiastic instructors and staff. This is an amazing institution. 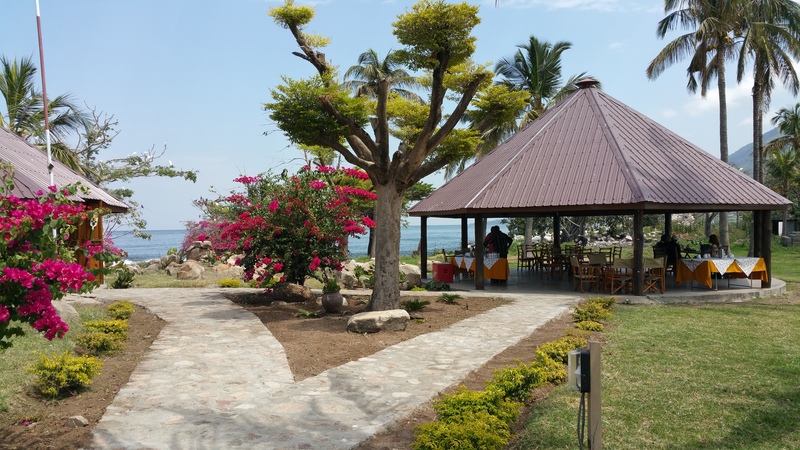 The grounds are clean and everything is well-kept. Needless to say this is done by the inmates themselves. At certain times of day inmates fill the spaces between the buildings. 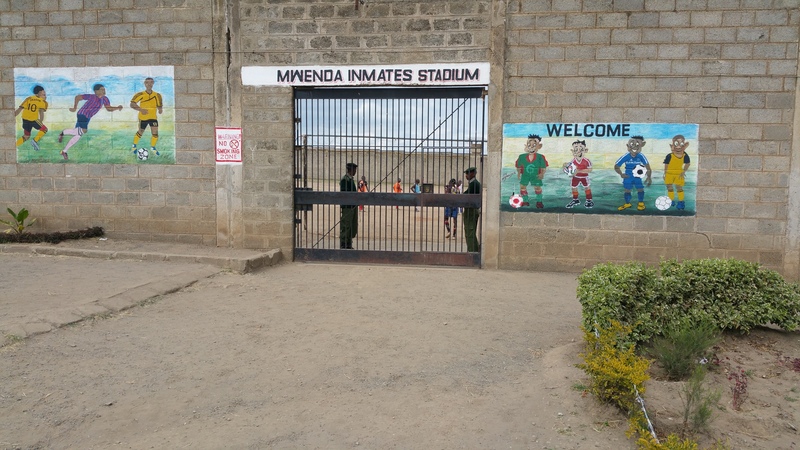 The prison has a football field. A football game was underway. 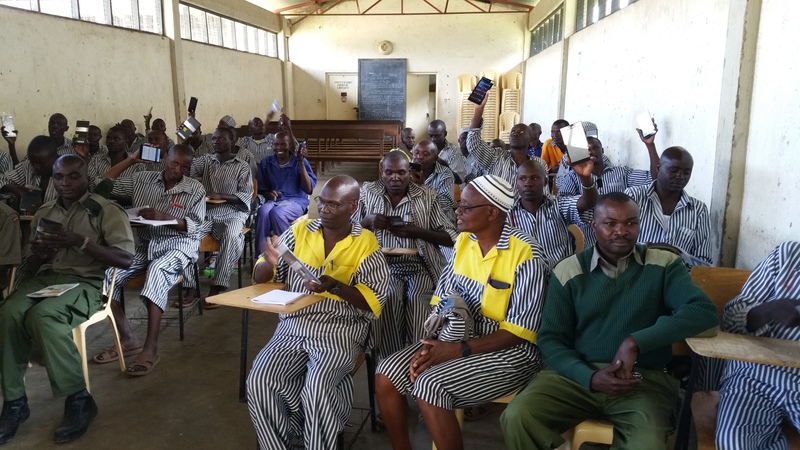 With some 2700 inmates, about 1500 are enrolled in educational programmes. 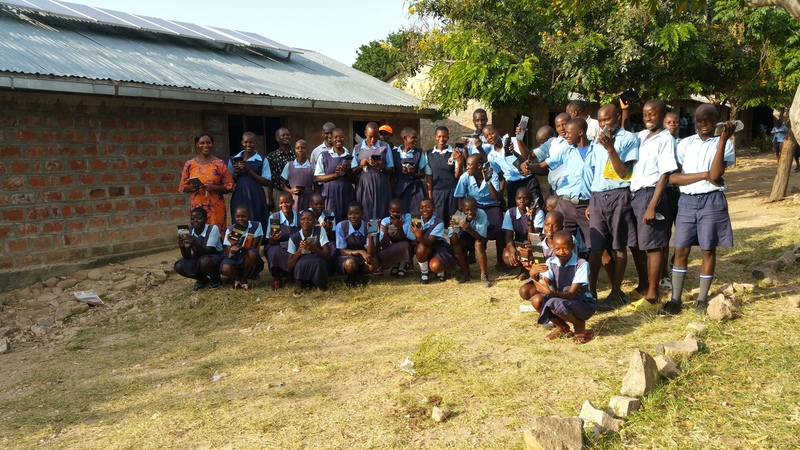 A class of 28 students in Form I (1st year secondary school) was given individual tablets, each labelled with the name of the student. The two days had a packed agenda, with a focus on teaching the students how to use the tablets to access math drill on the tutor-web, as well as content from Khan Academy and Wikipedia. Note that there is no Internet access allowed in the prison so all of this material is on the server. There are some important differences between this secondary school and other schools. One is that there may be many instructors in the classroom and these instructors are typically either staff or inmates. A session with the instructors. We met some very interesting and smart people on this trip. 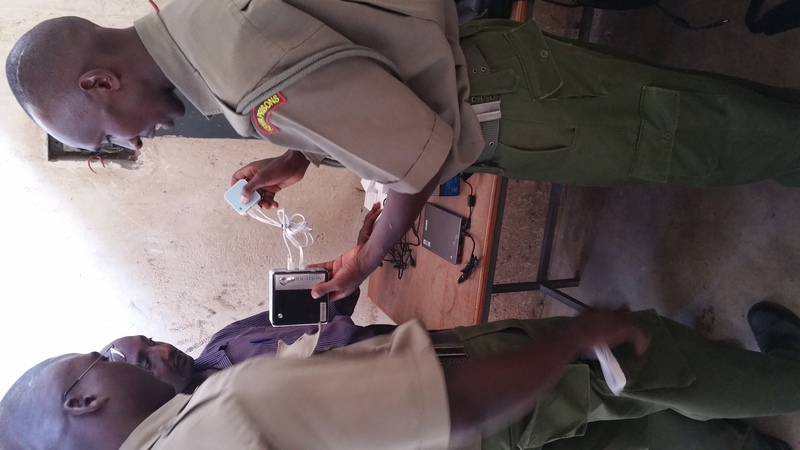 It was very interesting to see the Naivasha ICT person explain how to set up, shut down and take apart the EIAS server system (in Swahili) after having had a total of 5 minutes of instruction (in English). 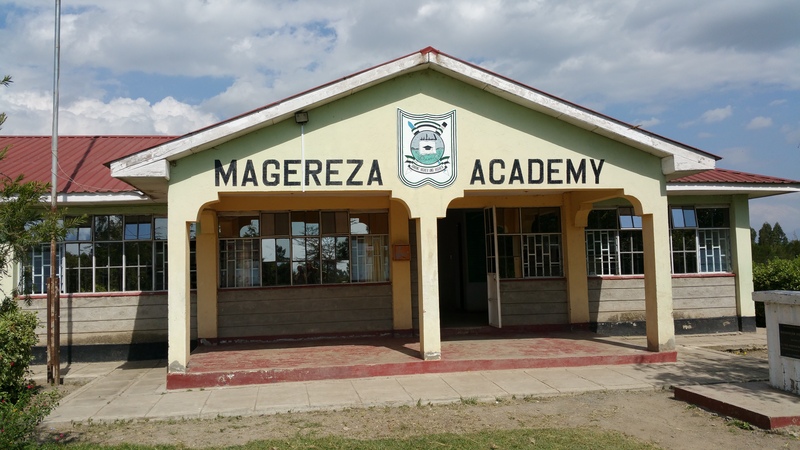 The Magereza Academy is an interesting concept. 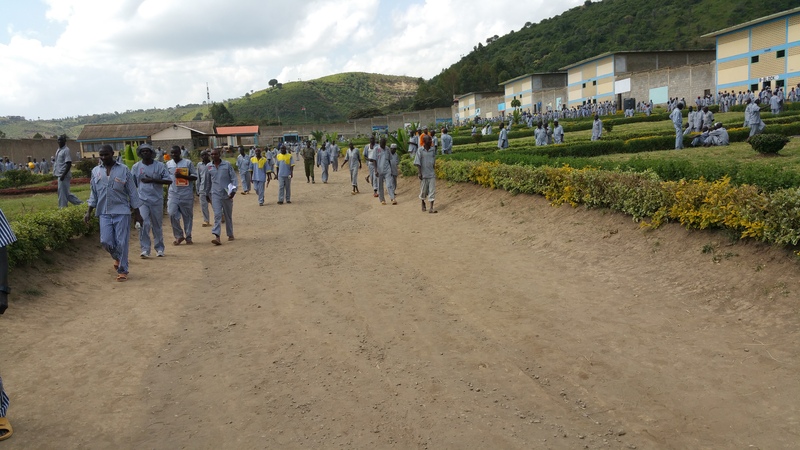 This is a boarding school for boys who are sons of inmates. 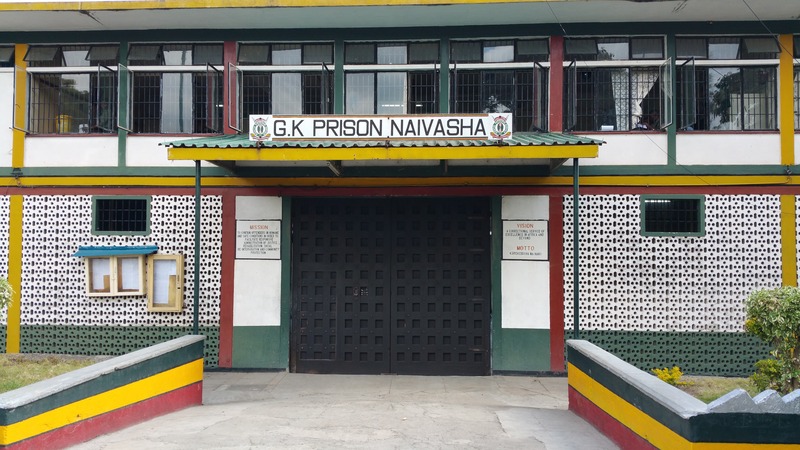 As far as we can see the Navaisha Maximum Security Prison lives up to its motto. The media was interested in the project and a representative from the Ministry of the Interior was present. She was shown the workings of the system. On this Sunday two out of three are en route to Kenya. Anna Helga left yesterday as she needed to stop by in Copenhagen, Gunnar is on his way through London and Chrispine will take the rest of the stuff on Monday. The best approach for everyone is to see security checks as a sub-task, so just smile and open the boxes if needed -- or smile even more if you don't have to. To date we have never had any serious problems in security. Of course we have already checked the formalities and we know this is allowed. We just have somewhat unusual luggage. Jamie spent several weeks getting a base system set up, to be copied onto all five servers. Thankfully this was all done 2 weeks before leaving for Kenya. Jamie first came to Iceland for a very busy week. It wasn't quite enough, but luckily Jamie and Gunnar had another meeting to go to in Copenhagen (thanks to the MareFrame project) so there was a chance to finish a few details. Those last 2 weeks were spent preparing for the upcoming trip. Each server needed to be set up and tested. Of course a few things come up when this is done: One of the modems was locked; we decided we wanted to put more material on the server so we bought larger USB memory sticks; and so forth. But all of this is relatively minor. The stats&modelling group at the University of Iceland has a number of summer students and PhD students, all of whom helped in the setup. After a few days of setting up tablets, linking to Google accounts, verifying and downloading we should now be all set! This is the server, a tiny little box with two little cards. So why are we excited? It's got the entire tutor-web system on it, the entire Wikipedia and all the math videos from Khan Academy (Lite)! 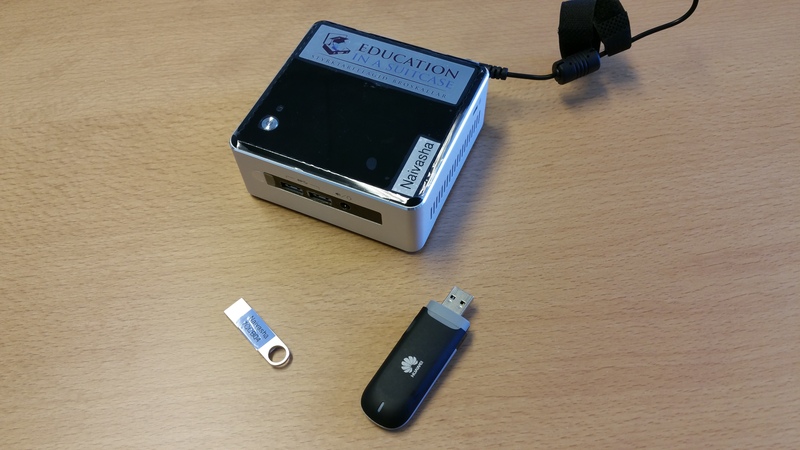 Think about it: The minute stick in the picture is a 128 Gb USB memory stick with an operating system, the worlds largest encyclopedia, personalised math drilling material and math videos. 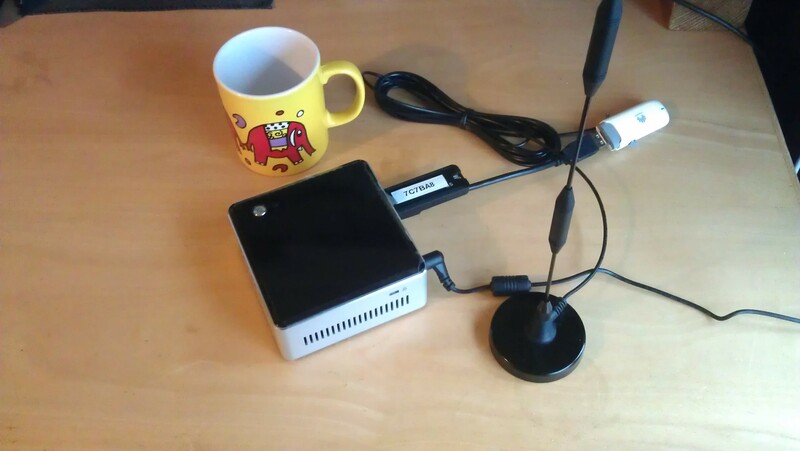 The little box is an Intel NUC computer, amazing stuff in a tiny box. If you were to hook it up to a keyboard, mouse and monitor then you'd have a pretty good desktop. With the little stick you've got an amazing educational system. The NUC also has a built-in WiFi access point so students with tablets can seamlessly connect to it to download drill sets or look up Wikipedia articles. The other stick is a 3G modem. Depending on our luck, this may give us Internet access. If not, then we'll try an antenna. If that doesn't work we still have a working system, just no Internet. Still pretty amazing system. 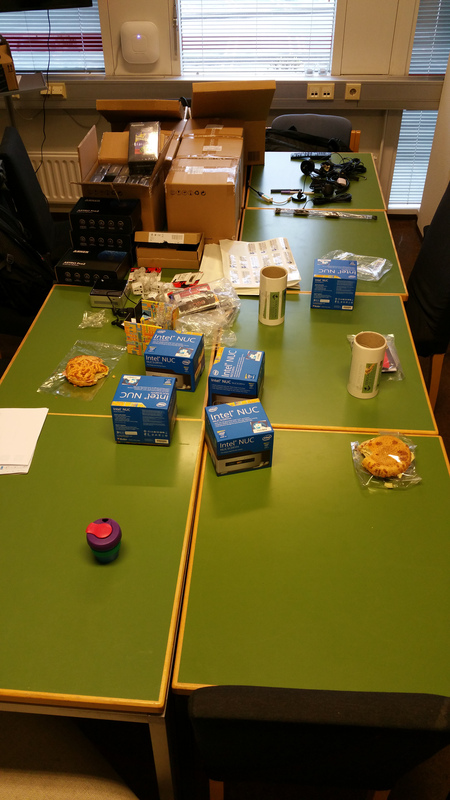 Setup time! Jamie and Anna Helga testing, checking and double checking. Each server is a standalone Nuc computer running the tutor-web software. The server runs a WiFi access point and has a 3G dongle with sim card and antenna for an Internet connection. Takawiri has really poor mobile coverage so we're excited to try out the antenna. Of course the system will run without Internet but it'll be much better if we can access it remotely and retrieve data automatically. 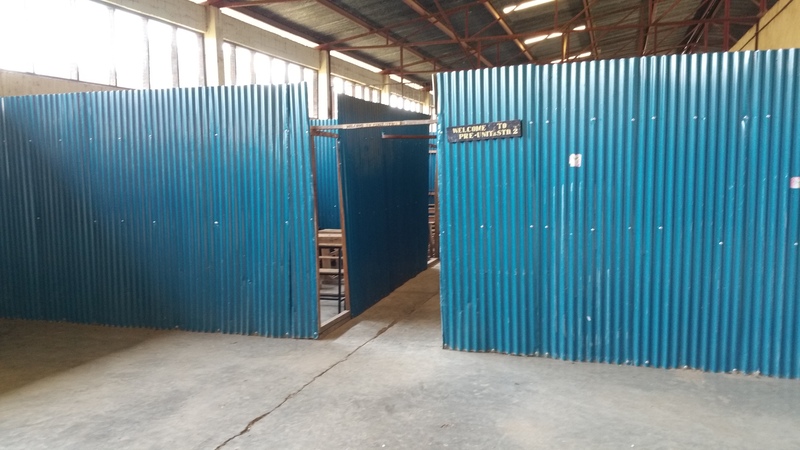 The astute reader will observe that the sim card will in principle give general Internet access to the students but we will not be able to sustain payment of such connections. We can however sustain occasional topups for data retrieval and maintenance of software, material, SMLY blockchain etc- that just comes out of our research accounts. 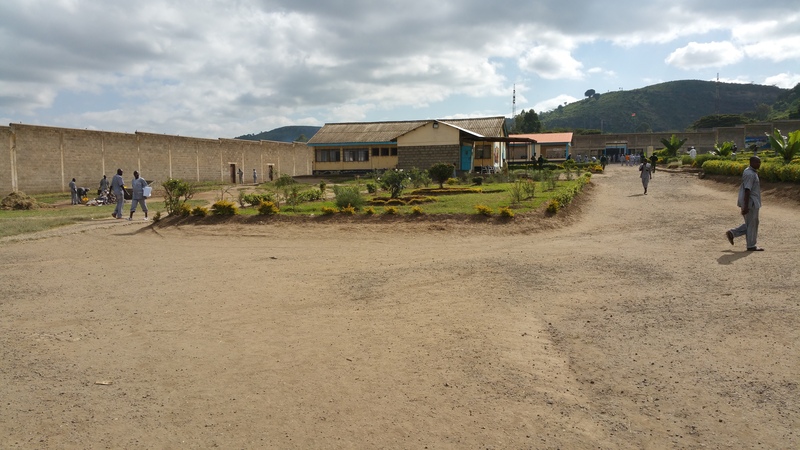 Naivasha Maximum Security Prison Secondary School, Kenya: This will be our first stop. 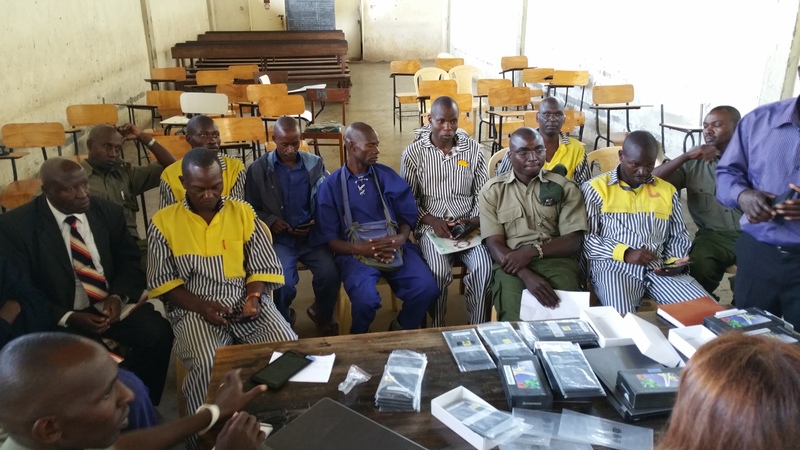 Situated in Naivasha, about 1 hours drive from Nairobi, Naivasha Maximum Security Prison houses a secondary school for inmates. 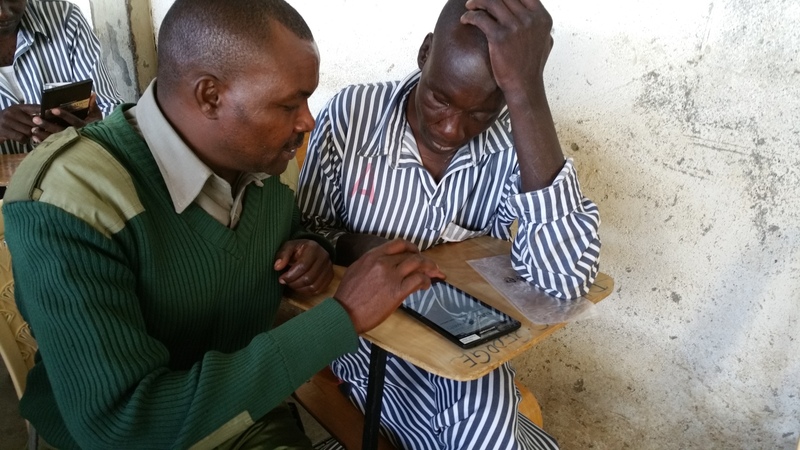 A number of studies have demonstrated that education is important for inmates in many different ways. 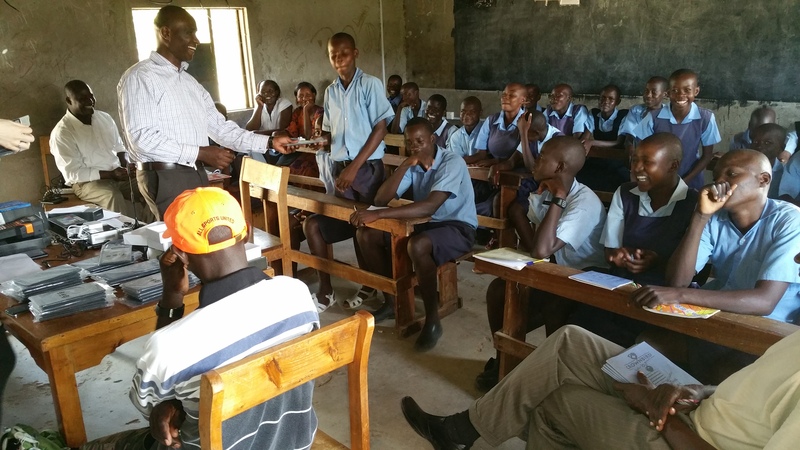 Financially the project is limited to 30 tablets to Naivasha and therefore 30 students have been hand-picked for participation. Each will get a separately labelled tablet. 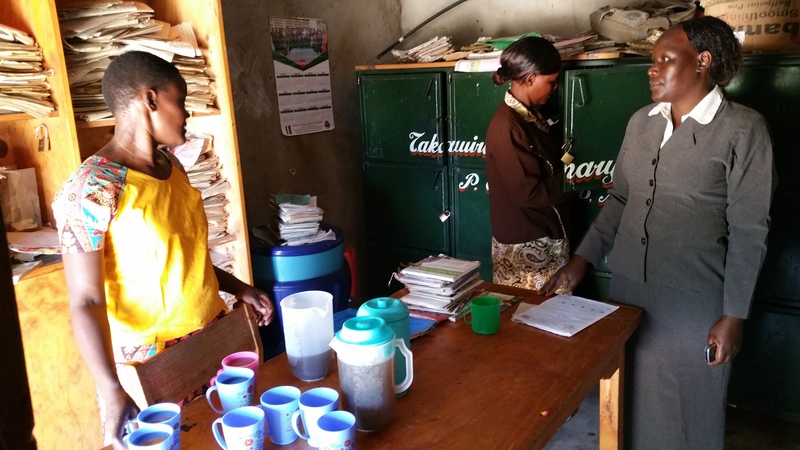 Takawiri Primary School, Kenya is the second stop. Here the target group consists of the 31 students who form the graduating yearclass. 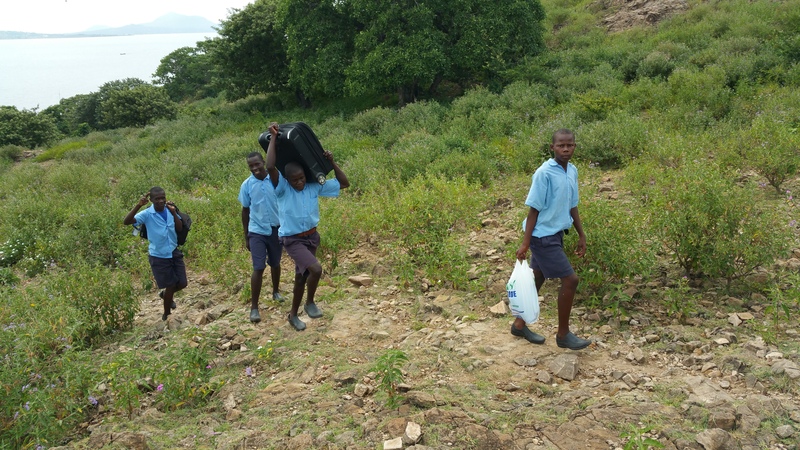 After graduation they can attend secondary school on the neighbouring island. 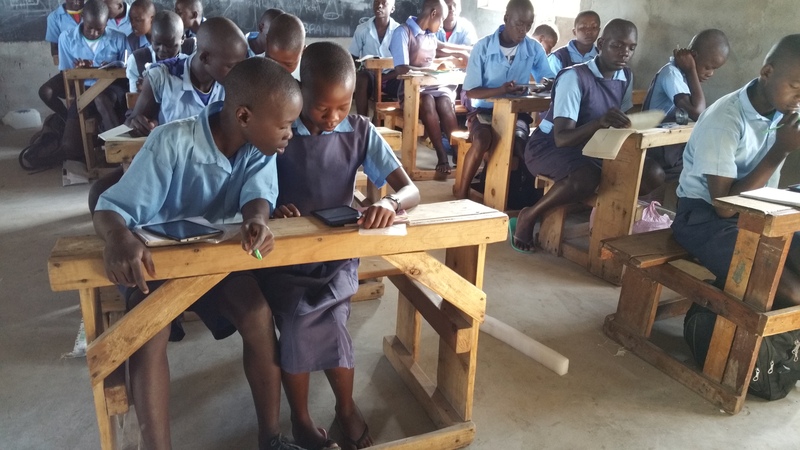 The aim is to teach the students enough about the tablets and material so that they can continue to use the tablets throughout their secondary school. Maseno University has a maths lab which has a number of desktop computers. Many students at Maseno are able to buy or borrow a tablet, smartphone or laptop but Internet is very slow and WiFi access is not ideal. Those students mainly need access to better servers. Thus the aim here is simply to provide a tutor-web server and leave it in the capable hands of those who maintain the maths lab. (a) Design, develop and test an educational system which is of a high quality by "western" standards and will run with poor or no Internet connection and will function with very unstable electricity. 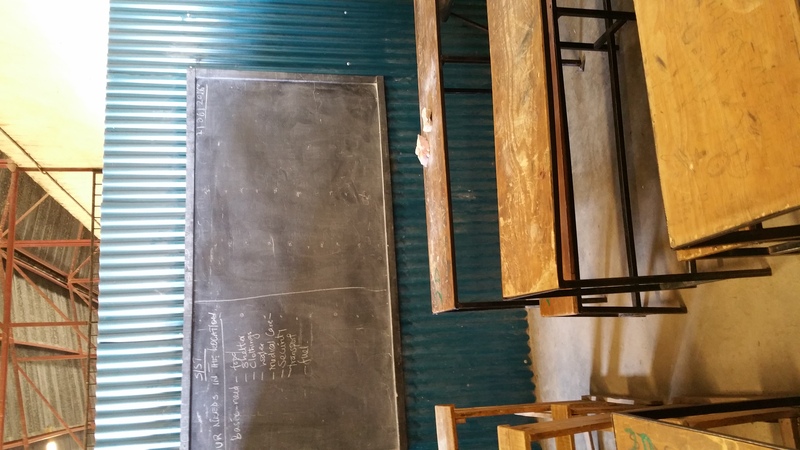 (b) Use crowdfunding to raise enough money to get this into a few schools in Kenya. Solving (a) requires a combination of software and hardware. The software is simply the tutor-web. The hardware is described elsewhere on this page. To solve (b) we had a fundraiser through chuffed.org and raised enough to send servers to 4 schools and tablets two 2 schools. Official web page with more links.